Tomas Vybiral, MD is Board Certified in Cardiology and Internal Medicine. 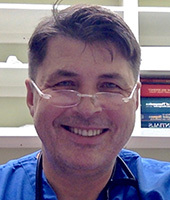 Dr. Vybiral graduated from Basel University School of Medicine in Switzerland in 1985. He completed his cardiology fellowship at Baylor College of Medicine in Houston, TX in 1993. Dr. Vybiral was born in Czechoslovakia. In his free time, he enjoys working with and breeding Belgian Draft Horses. Our Wilkes Blue Ridge Medical Group is open Monday thru Friday from 8:30 a.m. until 5:00 p.m.
We are accepting new Cardiology patients by referral. Internal Medicine and Sleep Medicine services available. Kelly Sale is a certified Nuclear Medicine Technologist who works in “Our” Blue Ridge Medical Group offices in Mt. Airy, Elkn and North Wilkesboro. 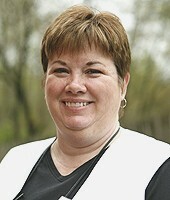 Kelly obtained her degree in Nuclear Medicine Technology from UNC Chapel Hill. She enjoys music,cooking, hiking and shopping in her spare time. Our Wilkes Blue Ridge Medical Group is located at 1909 – 1912 West Park Drive in North Wilkesboro, NC. The office is located in the West Park Center Medical Complex off of Hwy 268, just past Wilkes Regional Medical Center. 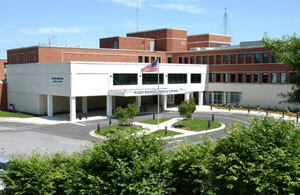 “Our Wilkes” Blue Ridge Medical Group provides cardiac consultations at Wilkes Regional Medical Center.